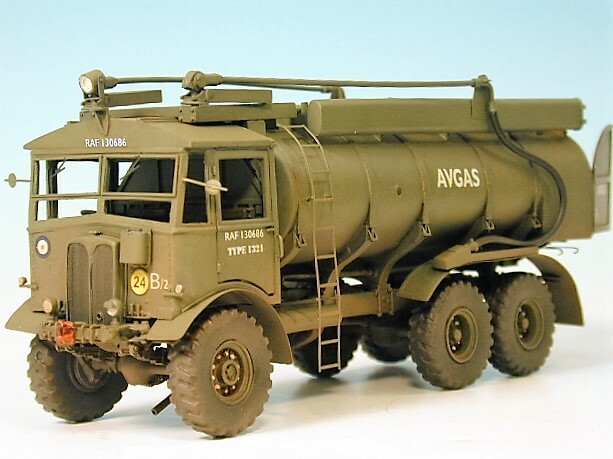 A complete 1/48th scale resin model kit of the Classic British WW2 (& Post War) AEC 854/0854 6x6 2500 gallon Refueller by David Jane.The model features cab and pump chamber internal detail, suspension, optional spare wheel carrier and chassis. 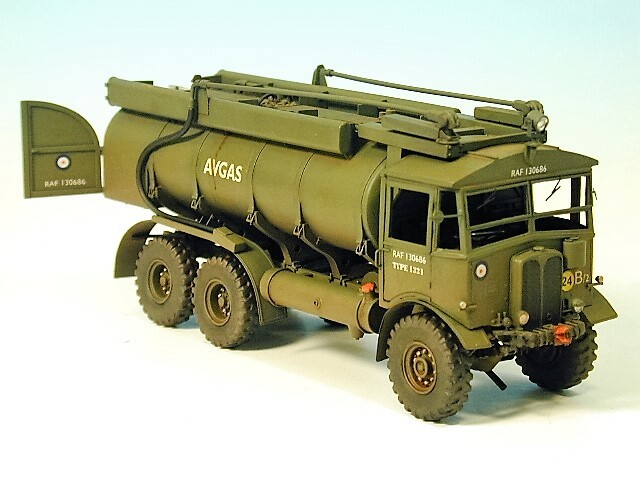 This version includes a pair of refuelling booms for refuelling Propeller Aircraft. Rubber hose lines are also included. 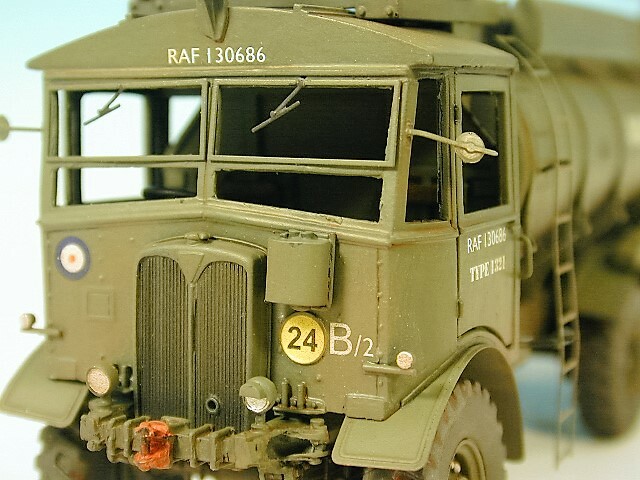 A standard RAF vehicle for both concrete and grass airfields. 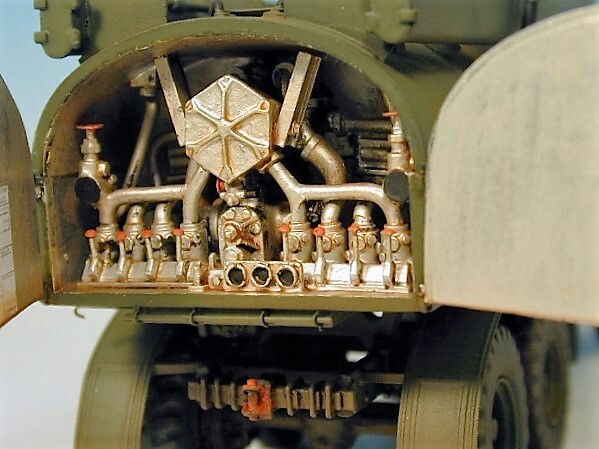 This model shown depicts a vehicle in WW2 or Post-war RAF service (Extensive RAF Bomber and Coastal Command decals are also included, as are AVGAS decals for post war use).This new and original range combines fine detail with ease of assembly and come as standard with simple to apply brass detail set, full colour decals, and any other building materials required. They are supplied boxed with full colour instructions. 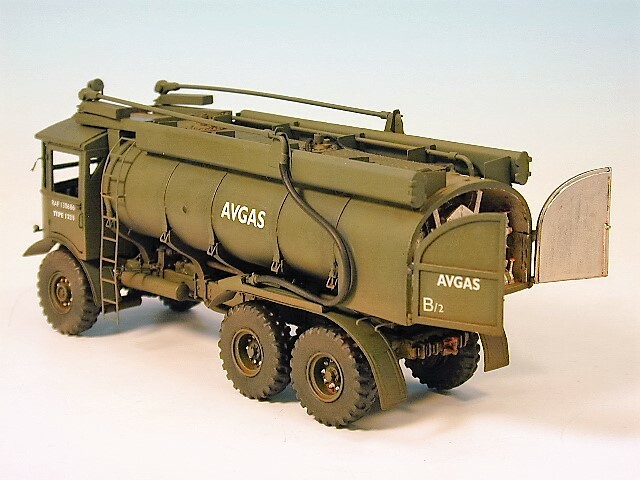 They are suitable for 1/48th scale aircraft and military dioramas or for collecting as classic vehicles.